• Diammonium phosphate -- assists in fermentation, can help accelerate fermentation. • Malic acid -- added to boost acidity of wine. liter allowed in finished wine. • Tartaric acid -- added to boost acidity of wine. • Silica Gel/Silicon dioxide -- used to filter and fine wine. • Edible gelatin -- used to clarify and fine wine (remove sediments). • Gum arabic -- used to clarify wine (remove sediments). Up to .24 grams per liter can be used for treatment. • Aluminum silicates (bentonite or kaolin) -- used to clarify/fine wine. • Miscellaneous filtration substances (diatomaceous earth, cellulose, etc.) -- used to filter wine. • Polyvinyl-polypyr-rolidone -- used to modify color of wine, reduce tannins. Up to 7.19 grams per liter allowed for treatment. • Activated charcoal -- used to filter wine and improve color. Up to 3 grams per liter allowed for treatment. • Distilled alcohol -- used to fortify alcohol levels in wine. • Cellulase -- enzyme that assists in the hydrolization of cellulose, a key process in fermentation. • Protease -- enzyme that kills some bacterial agents and makes wine less heat-sensitive and less likely to throw sediment. • Non-native Yeast -- required agent of the fermentation process, converts sugar from grapes into alcohol and lots of tasty flavors. • Ascorbic acid --preservative, anti-bacterial agent. • Fumaric acid (3 grams per liter, max) -- used to boost acidity of wine. • Lactic acid -- used to boost acidity of wine, improve texture. • Casein -- used to clarify wine / remove sediment. • Isinglass -- a fish product used to clarify wine / remove sediment. • Milk/lactalbumin -- used to clarify wine / remove sediment. • Ovalbumin (egg whites) -- used to clarify wine / remove sediment. 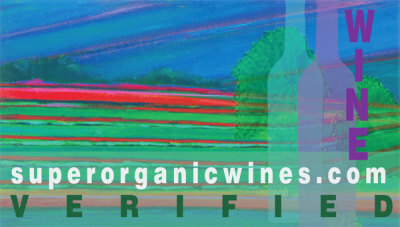 • Ferrous sulfate -- used to clarify wine. 0.0222 grams per liter allowed in finished wine. • Lactic bacteria -- used to reduce the acidity of wine. • Potassium carbonate -- used to reduce the acidity of wine down to acid levels of 5 grams per liter only. • Potassium bicarbonate -- used to reduce the acidity of wine. • Calcium carbonate -- used to reduce the acidity of wine down to acid levels of 5 grams per liter only. • Oak chips -- used to improve wine flavor. • Granular cork -- used to smooth the texture of wines. Up to 1.2 grams per liter may be used for treatment. • Catalase -- enzyme that couners bacterial agents in wine. • Glucose oxidase -- enzyme used to keep color of white wine stable with age. • Urease -- enzyme used to reduce sediments in wine. • Thiamine hydrochloride -- food for yeast that is used to help finish fermentation. • Soy flour -- food for yeast to increase and encourage secondary fermentation. • Sorbic acid -- preservative. • Dimethyl dicarbonate -- preservative. • Potassium metabisulphite -- bacterial inhibitor and preservative. • Potassium sorbate -- bacterial inhibitor and preservative used in conjunction with potassium and copper sulfites. • Ferrocyanide compounds -- used in clarifying/fining wines. Only allowed at 1 part per million in finished wine. • Citric acid -- occasionally used to increase acid levels of white wines. Allowed use of .7 grams per liter. • Potassium bitartrate -- stabilizer, prevents sedimentation. • Fruit concentrate of same grape variety -- used to improve color and flavor.